The Laurel Campus is located in one of the most interesting and beautiful places in the world. Extending beyond our three-acre campus is a wonderland for learning. Children learn best when they are engaged, connected, and when "teachable moments" are real and meaningful. In an effort to connect to these natural learning mediums Laurel is launching The Cape Cod Classroom. 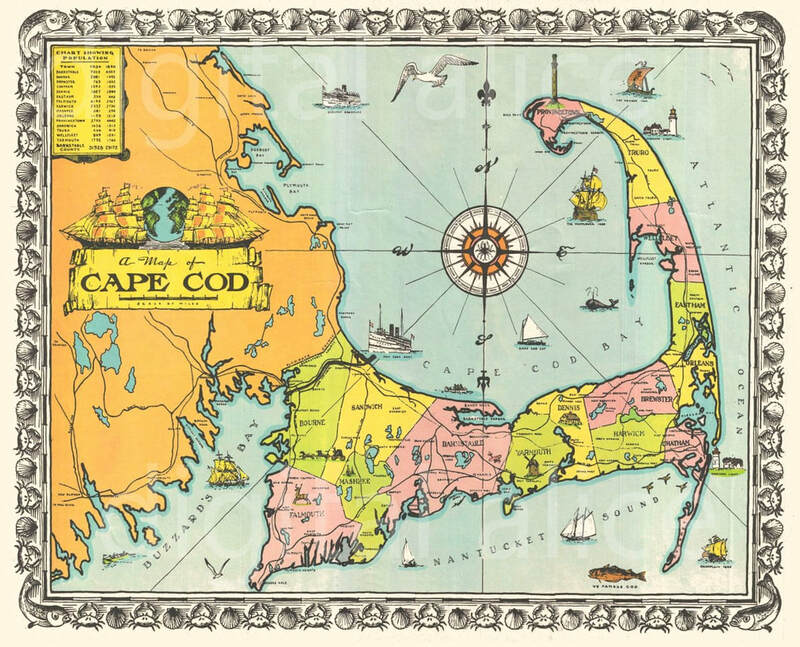 Our new van will allow us to transport our children to these exciting places on our beautiful place called Cape Cod. Place-based education (using the rich educational opportunities of Cape Cod) is one of the most effective ways to connect to children's passions and personal learning styles. Research also shows that outdoor education has a positive impact on many children. The open ocean coastal beach is one of the most dynamic environments on the planet. One cubic meter of ocean water, the size of a conventional oven, weighs one metric ton. On average an ocean wave hits a beach on the North Atlantic Ocean every 6 seconds. These two facts illustrate how much energy is at work along our beaches. Fifth graders at the Laurel School could collect a beach profile at a local beach 2-­‐3 times throughout the year. Once in September when the beach is at its widest, again in early March when the beach is typically at it’s narrowest and again in Late May. Collecting beach profiles can be done with very little ‘gear’ which I will provide and can be collected by the students themselves with the guidance of myself and/or a teacher. The data collection can be done in about an hour or two depending on the beach. Students could be responsible for taking field notes, recording data and entering those data into a spreadsheet and plotting the beach profiles. They will see the beach in the field, then enter in the data and see if it corresponds to what they thought it would look like. Then they can monitor those profiles throughout the year. Other activities based on these data could be developed for 1st and 3rd graders. Often storms are thought of as destructive forces, but storms have many beneficial aspects. Hurricanes help regulate global heat balance, provide much needed rain to many areas of the world and help cycle nutrients from deep ocean waters to the surface. During the month of September, peak hurricane season, children could watch the National Hurricane Center’s website and track storms. Make predictions on where they might go, how strong they will get and when and where they may die out. Children are naturally interested in storms. Using this curiosity field trips could be scheduled to ‘washover fans’ these are sand sheets deposited by storms that provide habitat to piping plovers, help low-­‐lying coastal areas keep pace with sea level rise and provide other ecosystem services. Sea level rise is ongoing and many areas on Cape Cod are vulnerable. At current predicted rates students at the Laurel school could see a 3-­‐5 ft rise in sea level in their lifetime. Myriad programs and activities could be developed and centered around sea level rise in particular and climate change in general. Cape Cod is the perfect setting for students to learn about all types of coastal phenomena. The Cape Cod Museum of Natural History, Cape Cod Natural Seashore, Cape Cod Children’s Museum, John F. Kennedy Museum, Cape Cod Museum of Art to name a few. Laurel students will study local history through local poets and artists. Students will begin to view Cape Cod as their Classroom. This year elementary students will study coastal and beach dynamics. Check below for some links to different coastal programs.